The Dallas Zoo welcomed a very special delivery this week: two super-sized Nile hippopotamuses arrived Tuesday and Wednesday from Albuquerque, N.M., and Los Angeles. Adhama and Boipelo are now sharing the spacious barn and pools in our new $14 million Simmons Hippo Outpost, set to open next month. “The moves were smooth and uneventful, and our new residents have settled in nicely into their new home,” said Harrison Edell, vice president of Animal Operations and Welfare at the Dallas Zoo. Six-year-old male Adhama arrived Tuesday morning from the Los Angeles Zoo and Botanical Gardens. The 3,722-pound hippo was loaded safely into a massive custom travel crate on an 18-wheeler Monday for the 23-hour drive. The tandem driver team drove straight through, stopping often to feed, water, and spray water on the giant amphibious animal. The driver team then hit the road again, this time to Albuquerque, N.M. At the Albuquerque Biological Park, zookeepers carefully repeated the loading process with 10-year-old, 2,395-pound female Boipelo, and the drivers took off once more for Dallas. Late Wednesday night, less than 36 hours after Adhama arrived, Boipelo made her grand entrance. After stepping out of her travel crate, she cautiously made a few rounds of the outdoor yard, then entered the night quarters, nabbed a few bites of romaine lettuce, and immediately plunged into her pool. Adhama was instantly interested in his new mate, leaving his pool and sniffing the air intently. The pair have been matched on a breeding recommendation through the Association of Zoos and Aquariums’ Species Survival Plan (SSP). 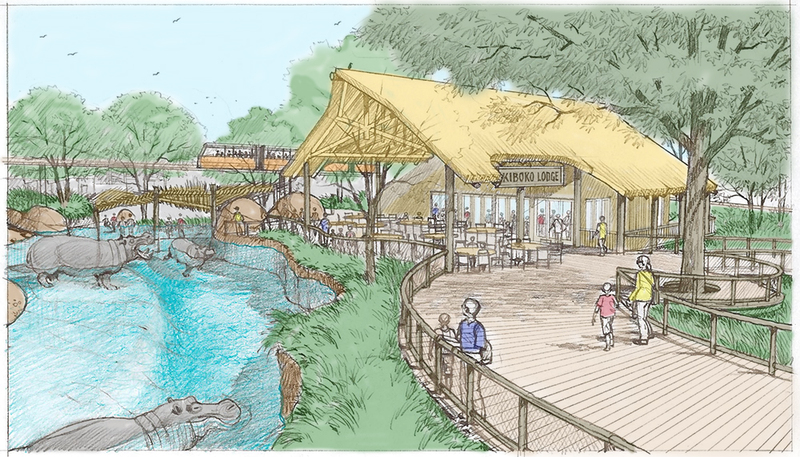 The 2.1-acre Simmons Hippo Outpost is an immersive African waterhole habitat that includes a 24-foot by 8-foot underwater viewing area, which will allow zookeepers to teach guests about conservation efforts to help protect the world’s third-largest land mammal. 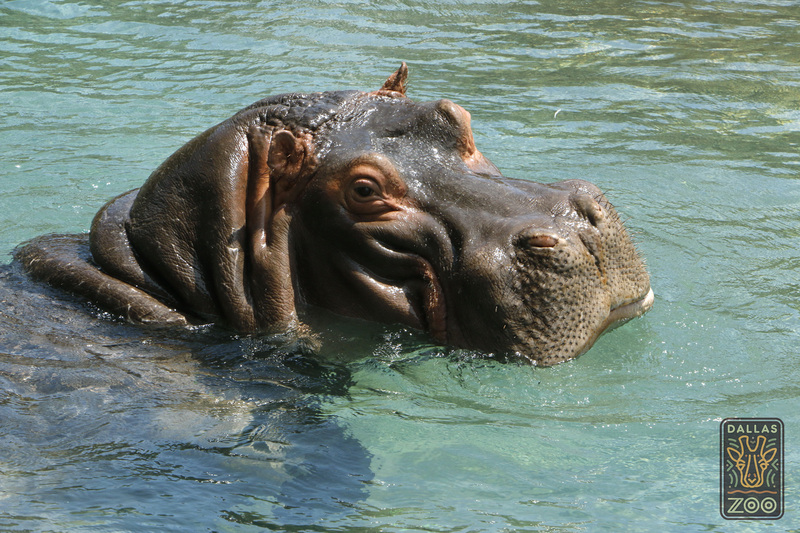 Papa, who passed away in 2001 at age of 53, was the last hippo to live at the zoo until now. At the time, Papa was the oldest Nile hippo being cared for in a U.S. zoo. A 24-foot by 8-foot underwater viewing window will bring guests eye-to-nostril with Nile hippos as they explore the 120,000-gallon waterhole. Such close contact will help us teach millions of guests about conservation efforts on behalf of the world’s third-largest land mammal. 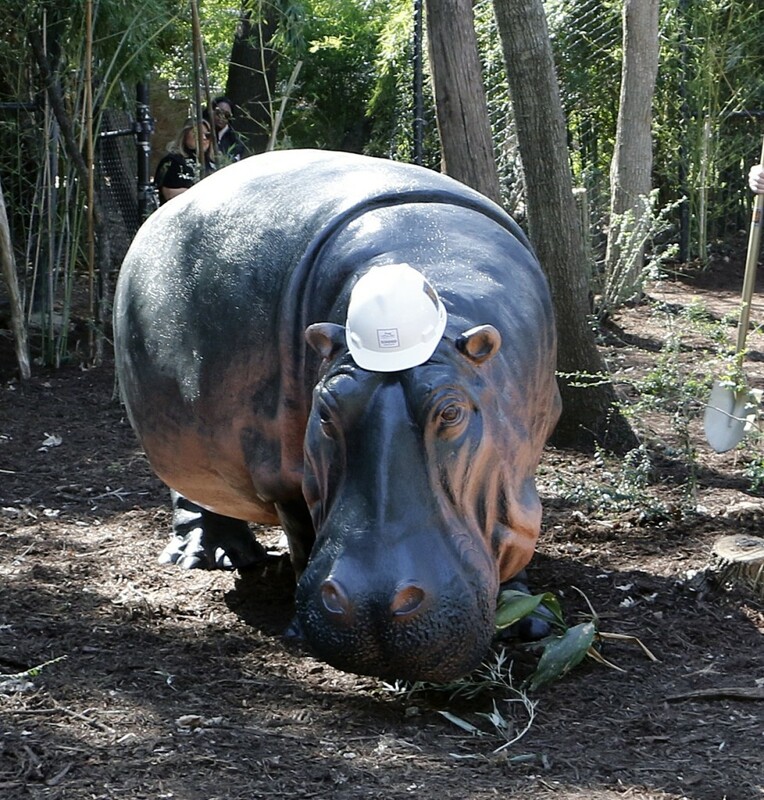 Scheduled to open in spring 2017, the Simmons Hippo Outpost will be our first major exhibit since the award-winning Giants of the Savanna opened in 2010. The massive mammals – one male and two females – will be observed from multiple vantage points. 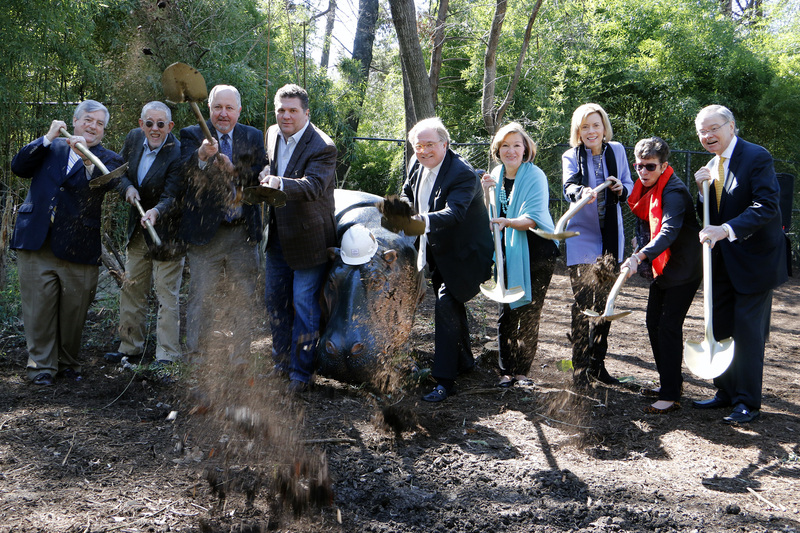 Nearby, an upper-level habitat will provide an enhanced home for our world-renowned okapi herd, red river hogs, and saddle-billed storks. 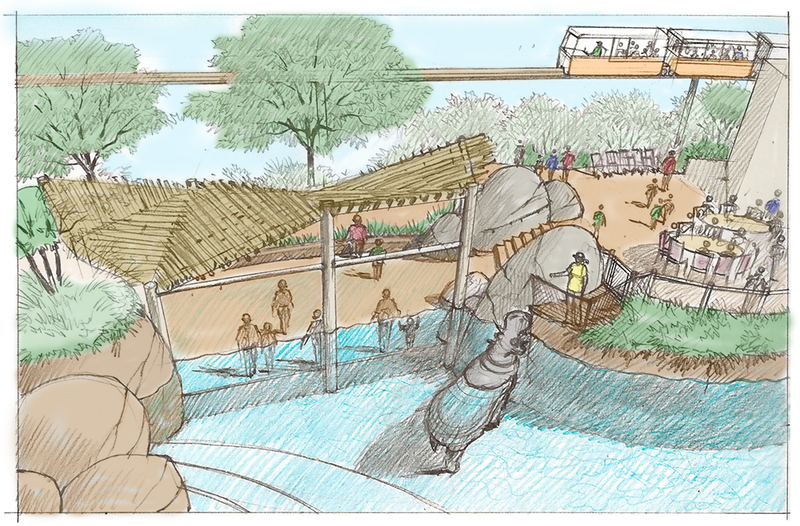 Both habitats will be visible from the elevated monorail, the Wilds of Africa Adventure Safari.